Drexel Patterson and Tony Crisafi are the highly accomplished principal architects creating residences of quiet luxury throughout Southern California, nationally and internationally for more than two decades. Bright interior spaces open to cool green gardens creating an environment that is Southern California Beach classic. A monumental 1980's estate made modern with a design approach that brings a balanced natural light motif to the interior spaces. Iron windows in large simple openings add a sense of lightness to the traditional massing of a Spanish colonial revival structure. 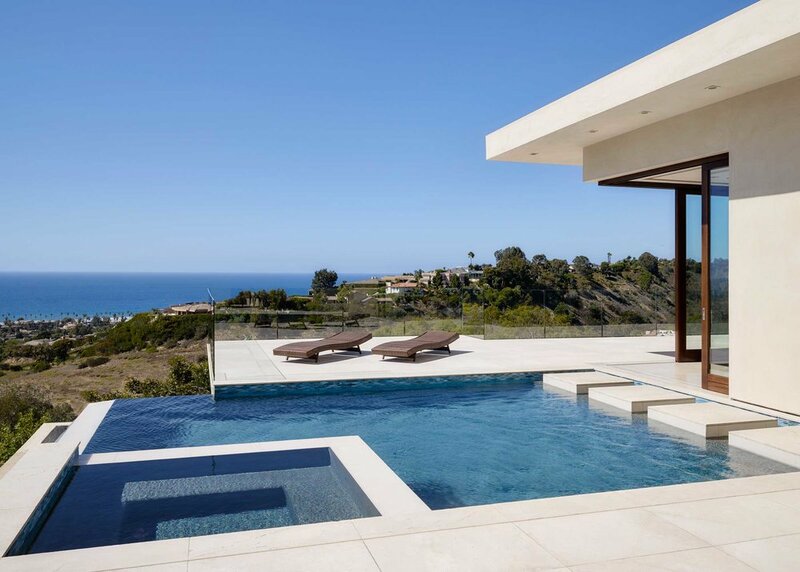 A sophisticated modern home offers ocean views and fun family living.